It is February 1st and I adore this month. February is my birthday month…and it happens to be a month representing LOVE. To me it represents celebration, roses, sweets, pink, romance…all things I am utterly fond of. This post is dedicated to some of my favorites lately. To start….my leisurely Sundays have included the following treat. 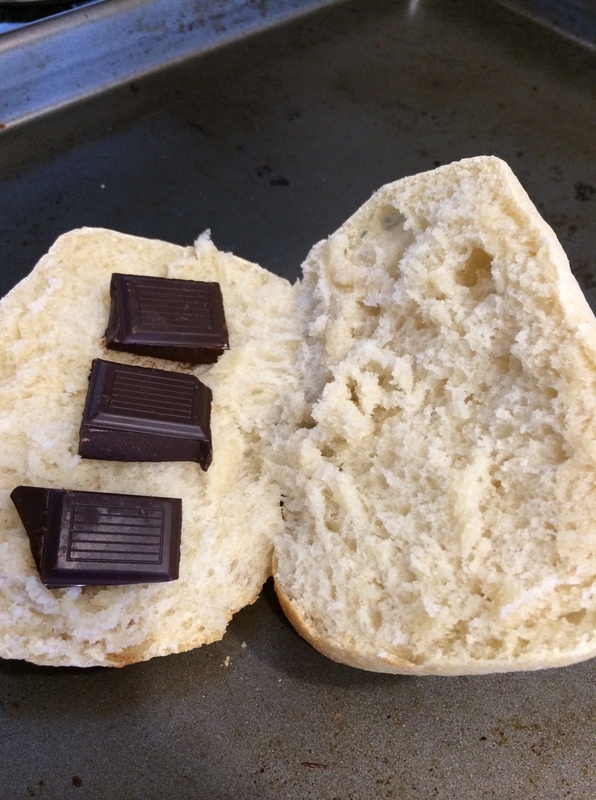 I asked myself last weekend if I should put a hunk of my fabulous 80% chocolate into my baguette as a layer of decadence…my answer was… Pourquoi pas? Why not? I then toast this baby up for about 5 minutes in the oven. 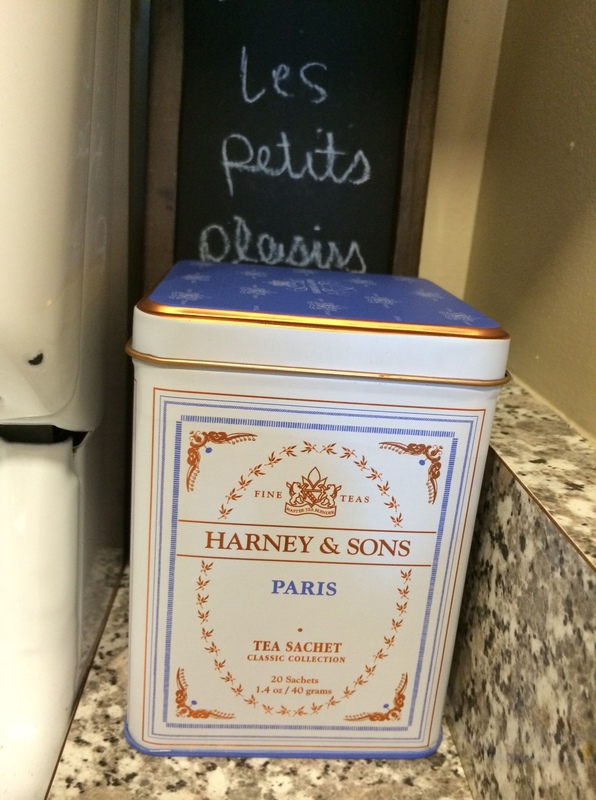 Okay, I have been reading every evening and sipping this lovely tea…I purchased this little tin of parisienne teas as well as an old journal with burned edges at this adorably chic gift shop in Seattle when I went last month. This tea is so scrumptious … black tea with vanilla and citrus. In LOVE! 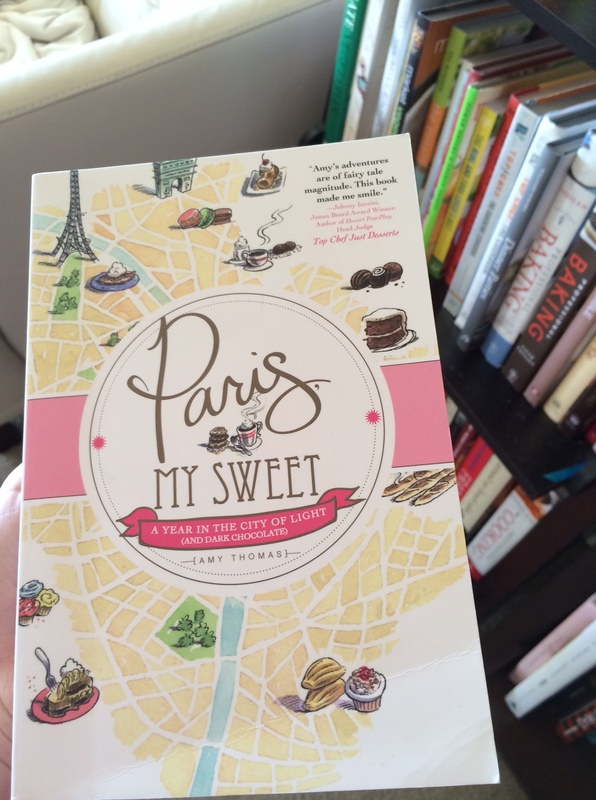 I absolutely adore this book….This mon amies is my dream come true….a novel about a girl that moves to Paris to work for Louis Vuitton …True story….I could not put it down. Amy Thomas can we be friends sil vous plait? 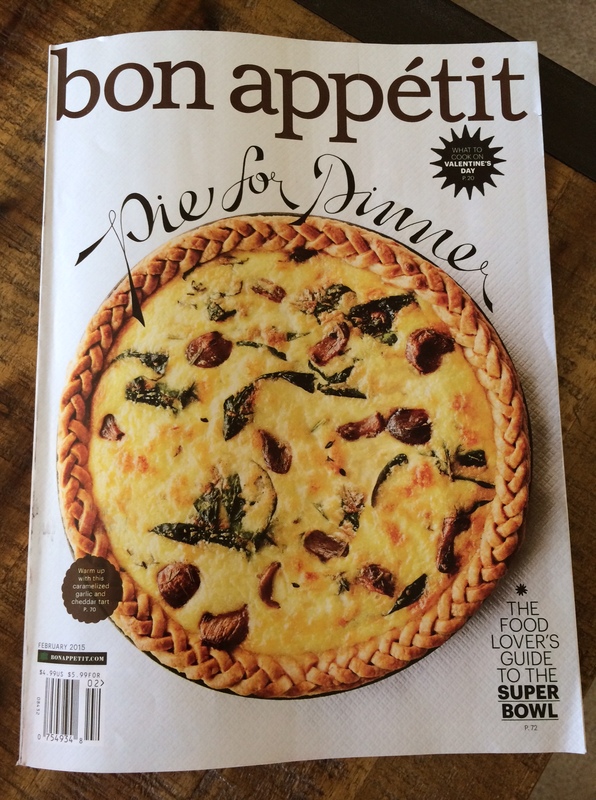 I devoured the latest issue of Bon Appetit…I will be attempting to make the cover this evening….Caramelized garlic, sharp white cheddar and spinach pie with maple and balsamic…YUM! Home-made pie crust of course! Last but not least, I baked some of my all time favorite cookies yesterday. 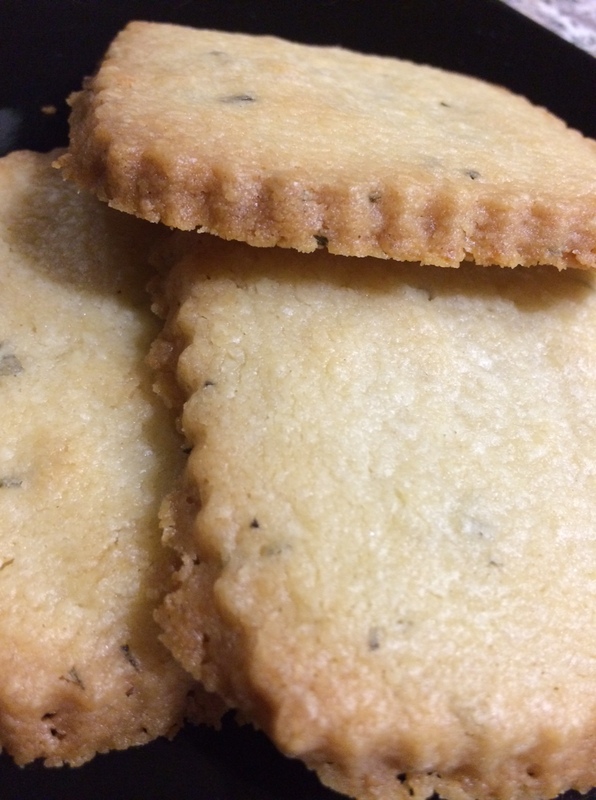 Rosemary Shortbread with Sea Salt. I have been making these cookies for several years and I am completely infatuated with them. The perfect mix of butter, salt and sweet with an herb note …they are perfect served sweet or savory. 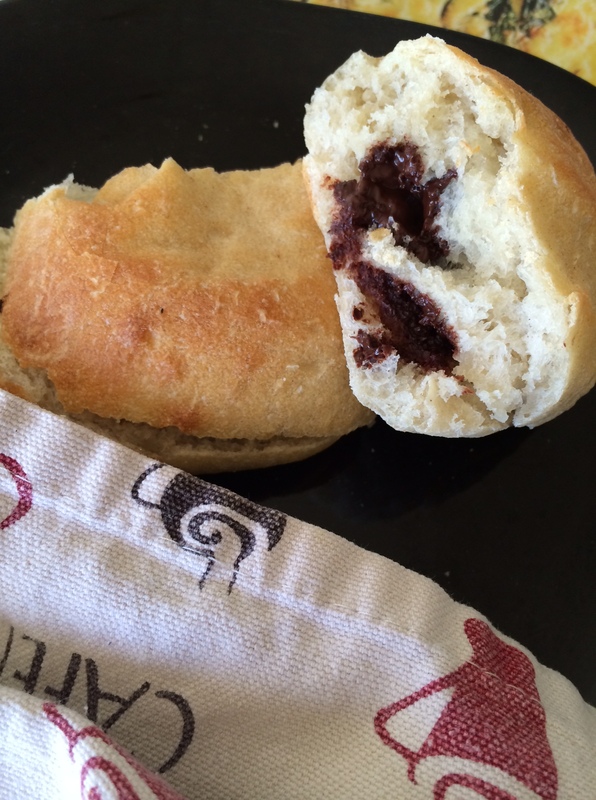 I made these for a small bakery start-up about five years ago and people have been requesting them ever since….This is my love note to all of my fabulous readers…make these! Combine dry ingredients in a hobart mixer. Add in COLD chopped butter until combined into shortbread dough. Remove to a floured surface, with a rolling pin roll dough into disks 1/4 inch thick. Using a cookie cutter, cut cookies and place on a parchment lined baking sheet. Sprinkle each cookie with sea salt. Freeze cookies for 1 hour or over night. Bake at 350 degrees F. directly from freezer. Bake until edges turn golden brown. Chef Notes: These cookies are simple in ingredients however it is the method and procedure that really makes these cookies amazing. First, you must make sure your butter cubes are cold. Second, do not over mix…once dough is made stop the mixer. Thirdly, you must roll out to 1/4 inch thickness. Ideally, you will freeze the dough before baking. Once baked these will last in the freezer for 4 months. Just take cookies out and eat straight from freezer. Whatever you are doing today I wish everyone the best. Happy Super bowl to all you football fans out there! Hi Doreen! That sounds like a fabulous day… Enjoy! My parents are definitely looking forward to it! Oh my gosh Krista….books, magazines, great food and your famous shortbread cookie recipe!! Life doesn’t get much better than that! I love your cookies Krista. They are the best. I will have to try and make some myself. Thanks for the recipe. Hope you are having a great rest of your day. Starting out with chocolate is always a good thing. Merci…..Krista! I feel so pampered every time I read your blog. I am so looking forward to making the Shortbread cookies! Angie! Merci Beaucoup…always love your comments! Pampered! So happy to hear that! As always I am ever so inspired by your refreshing outlook on life ! Thank you for sharing your joy, wisdom and wonderful recipes !